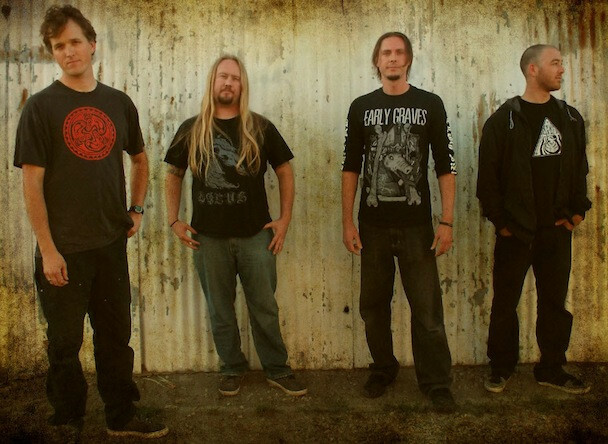 Prog-metal pirates Cormorant have never been ones to shy away from change. Heck, their entire career thus far has been one of slow evolution, from their early beginnings with 2007’s The Last Tree, through the attention-grabbing Metazoa, up to 2011’s game-changing Dwellings. Coming in the wake of the departure of bassist/vocalist Arthur von Nagel, and his replacement with the similarly talented Marcus Lusbombe, it seems change is still in the air for the group. Earth Diver betrays a fundamentally more blackened edge, expanding and exploring the limits of Cormorant’s established sound, landing somewhere between the prog-death magic of Edge of Sanity and the folk-tinged black metal of Drudkh, but with a style and a flair all its own. Is it a perfect album? No. But perfection is overrated. Perfection is stagnation. Rather, Earth Diver functions as a prime example of raw passion and creativity, growth and change, the sound of a band unafraid to take chances, to experiment, interweaving tone and texture, interbreeding influence and imagination… pursuing progression in the truest sense of the word. The languid instrumentation of “Eris”, the album’s opener, could very well become the band’s own “Ecstasy of Gold” given time. Its vibrant strings set the vibe and tone for the rest of the album perfectly, and it’s something which I could easily see opening the band’s shows for the rest of their career. The seamless transition into the scintillating savagery of “Daughter of Void” is just the icing on the cake, as the song develops into a maelstrom of churning riffs and tumultuous drums, melding punishing blackened power with swaggering heavy metal pomp, in a perfect storm of seething tremolo and soaring melodic harmony. “Sold As A Crow” is, without a doubt, one of the finest songs the band have ever produced. Its compelling atmospheric opening bars swelling to a glories crescendo of searing riffage and tempestuous rhythms – vividly, potently aggressive, yet intimately reflective. “Waking Sleep” seeks to expand upon this foundation, bolstering its nine-minute run-time with waves of calming melody and haunting ambience, moving from its undulating progressive beginnings to a raucous explosion of blackened catharsis. The interplay of softly crooned clean vocals and Luscombe’s ravenous snarl conjures a dark and dream-like undercurrent, deep and unfathomable, and acts as a counterpoint to the often chaotic cacophony created by the clattering drums and tense, ear-splitting leads, the whole song at times stretching towards a breaking point, held together only by the thinnest of threads. In many ways Earth Diver is a more immediate, though no less demanding, album than its predecessor, largely abandoning the slow-burn of Dwellings in favour of a more energetic, more thrillingly visceral approach. Yet that’s far from saying that the band have abandoned their legacy; the album still possesses that instantly identifiable, inescapably distinctive Cormorant sound – compelling rhythms and scorching riffs married to classical heavy metal grandiosity and a progressive streak a mile wide. Indeed “The Pythia” retains much of the doomier vibe that permeated Dwellings, razor-sharp pendulum chords cutting through the ether with brooding weight and driving momentum, wrapped in a constricting cloud of barbed, menacing tremolo and undulating bass-lines, beneath which the drums skitter and skirmish in convulsive paroxysms, while sibylline clean vocals chant an elysian refrain. The majestic instrumental introduction to “Broken Circle” is a thing of absolute beauty, one which transforms smoothly into a procession of furious tremolo, frantic drum work, and raging vocal expurgation – 8 minutes of fervent aggression and glorious melody combined into one spellbinding composition of pure musical magic. The doom-laden, heavy metal stomp of “Mark the Trail” certainly provides a thrilling canvas for the band to display their myriad talents, Brennan Kunkel’s energetic, imaginative drum work shining in particular, propelling the song through every blackened twist and melodic turn with vigour and intensity. Throughout, a plethora of rampant riffs and blistering tremolo runs ebb and flow with dynamic dexterity, coiling and mutating through multiple iterations, mirroring the band’s own restless creativity and drive. The climax of the album comes in the form of “A Sovereign Act”, almost 12 minutes of progressive verve and vitality, which builds from humble, melodic beginnings to grandiose heights of pure metallic power. 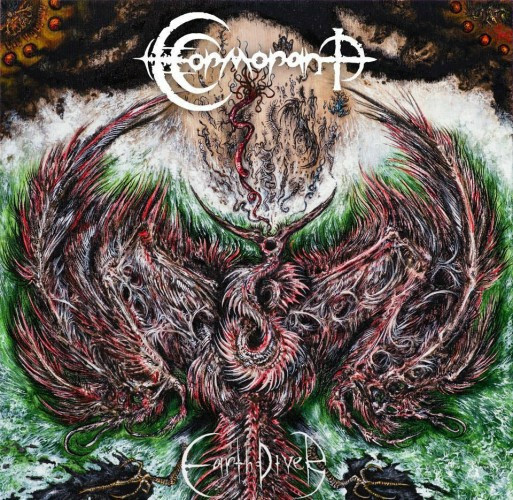 It’s a culmination of everything the album has offered so far, dark folkish melodies intertwined with bleak blackened menace, serpentine bass lines coiling and slithering through passages of frenzied drumming and feverish tremolo guitar, mammoth riffs and crystalline leads vying for supremacy in a storm of sound and vision. It’s almost too much to take in. I suppose that sums up the album, and the band, in a very real way. Their ambition, their imagination, their creativity… it’s almost too much. Sometimes it seems as though it’s even beyond their own control. Yet that, ultimately, is the source of the band’s magnetism, the feeling that every song, every album, is an experiment of unknown potential, offering a glimpse into an endless process of flux and change, defined as much by its imperfections as its irrepressible creativity. With Earth Diver the band have taken yet another step on their long and curious evolutionary path. Where they’re going I can’t say, but this is truly one of those times where the journey itself is more important than the destination. I loved Metazoa when it came out in 2009, and it took me until 2014 to actually listen to Dwellings, which quickly became my favorite album of all time. Coming off of a huge binge of Dwellings, Earth Diver actually felt less immediate to me; my first listen had me sort of disappointed. But as with most great albums, this one just took time to settle in. I love these guys! After the almost perfect album Dwellings, and the line-up change, I was pretty sure that I would be disappointed with the next release. But finally it’s just another masterpiece from this amazing band. It’s not better, not weaker, but like a different mood of the same living and growing “entity”, which is able to express so many emotions. That artwork still might be some of the best metal album art this year’s seen so far.